Intel have just announced the second generation of their Atom-based platform (a.k.a. Moorestown). The new Z6XX series is expected to bring PC-like experience and 1080p video support to smartphones and tablets. On top of that, the new Atoms are said to be extremely efficient and not at all power-hungry. Sounds like a pretty good recipe to me. Power consumption is one of the main issues for mobile processors. Normally, the speedier they get, the more power they consume. Of course, that shortens mobile devices’ battery life. But Intel seem to have finally found the cure for that: the 45nm Z6XX processors are expected to consume way less power, despite the improved performance. They will fit perfectly in compact devices such as smartphones, tablets and handheld products. 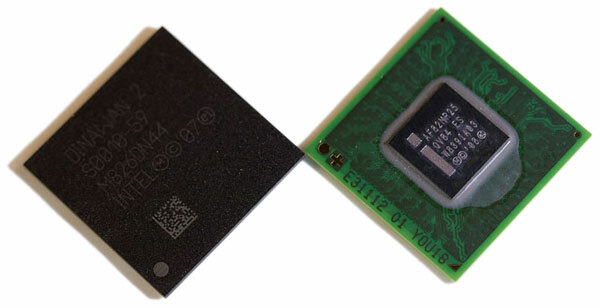 The new Atom processor platform is ready to head to devices based on Android, MeeGo or Moblin.